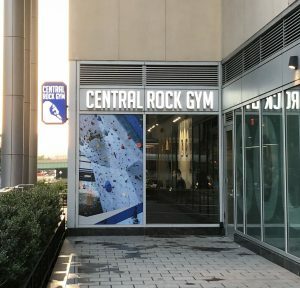 Hot off the press: There is a brand new rock climbing gym in the Upper West Side. Until now, if you wanted to try your luck at bouldering you had to commute to a decidedly cooler, younger part of the city (Long Island City or Gowanus). Central Rock Gym opened at 60th and West End and offers a gorgeous bouldering and rope climbing facility. 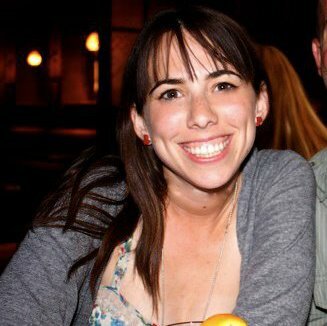 After reading about my experience at Brooklyn Boulders, the gym reached out and invited me to give them a try. I brought my friend Caroline and Central Rock was kind enough to host us, provide us shoes and give us a lesson. We needed it. Just three blocks from Columbus Circle, the gym is right next to a SoulCycle in a part of the Upper West Side that is adding new, trendy, commerce every day. After checking in upstairs and getting fitted for climbing sneakers (which are meant to be uncomfortably snug), we headed down to the gym space. In earlyish October, I wrote about a bunch of fitness challenges happening at NYC studios. I knew I wanted to try one one, and I decided to go with Refine Method’s Take 2. Basically I took two Refine classes a week and received a discounted rate on classes.